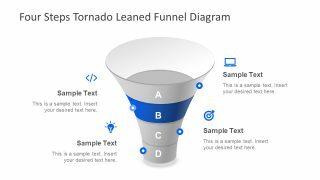 The 4 Step Tornado Leaned Funnel Diagram for PowerPoint is a vertical-phase design. 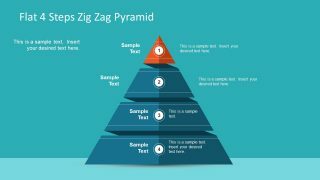 It is an excellent marketing funnel template tool to show four stages. However, the funnel diagrams are ideal layout to demonstrate a data filtering process. For example, the product development phases and its relevant details. 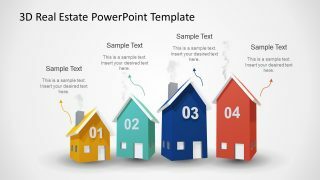 PowerPoint is a 3D model design. The first step is wider, often to illustrate raw data input. 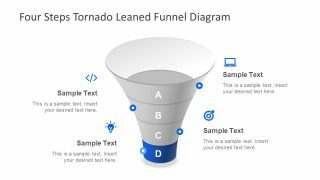 The subsequent segments of 4 Step funnel diagram noticeably become narrower. PowerPoint funnel graphic presents the concept of reaching to the precise and accurate information. For instance, the concept can help professionals to develop a useful marketing strategy. 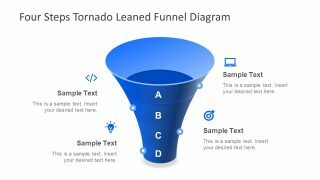 And, these sale funnel templates let them create processes to target the right consumer market. 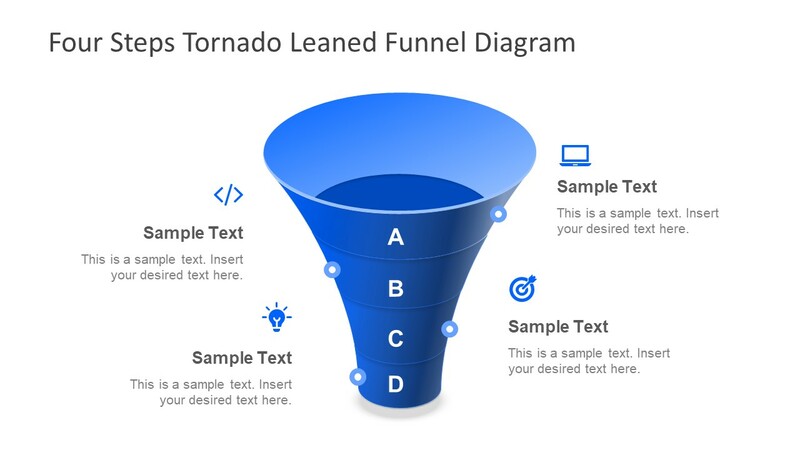 The 4 Step Tornado Leaned Funnel Diagram for PowerPoint resembles the shape of a whirlwind. Therefore, users can also choose a different strategy i.e. starting from the bottom, working their way up, just like a tornado. 3D view of cylinder aids in quickly explaining the workflow to the viewers, instead of going into the detail documentation. 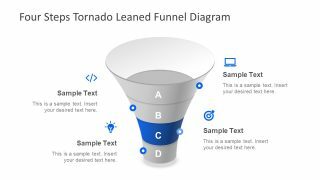 The 4 step funnel diagram has a simple white and blue color theme. 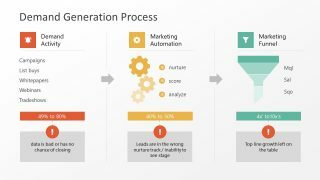 The first four slides highlight one segment of the funnel at a time. Because the graphics majorly help in delivering tough concepts. This feature assists the presenter to achieve maximum audience engagement. 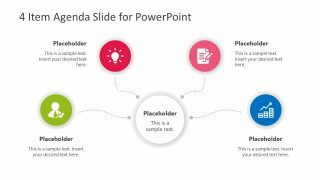 The 4 step PowerPoint funnel template is resourceful for lead management companies and professionals. It is a set 5 fully editable slides with a range of customization options. Such as, changing the color of funnel template in shape fill. Or, using a different background according to the theme of the main presentation. Add a company logo or contact details in the footer when presenting to the potential clients and investors. 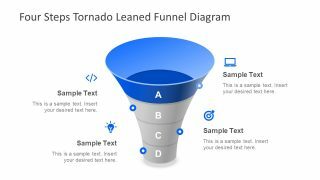 The funnel diagram template represents 4 steps using the clip art icons and text placeholders. But, users can replace these icons with more clip arts as see fit.